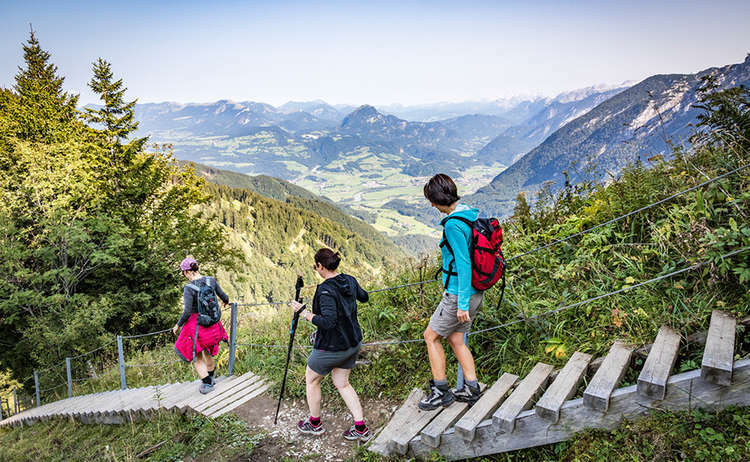 Bavarian Alps: Explore on foot! 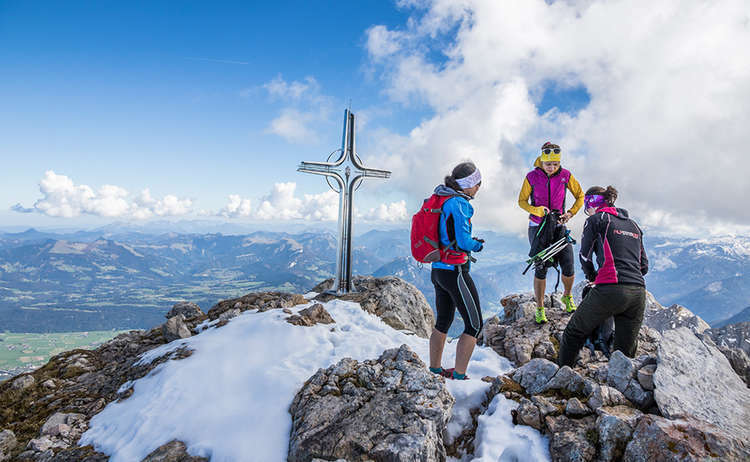 For those who prefer getting a little closer to nature and exploring spectacular mountain scenery, becoming familiar with the well-marked trails in the Berchtesgaden area is a must! 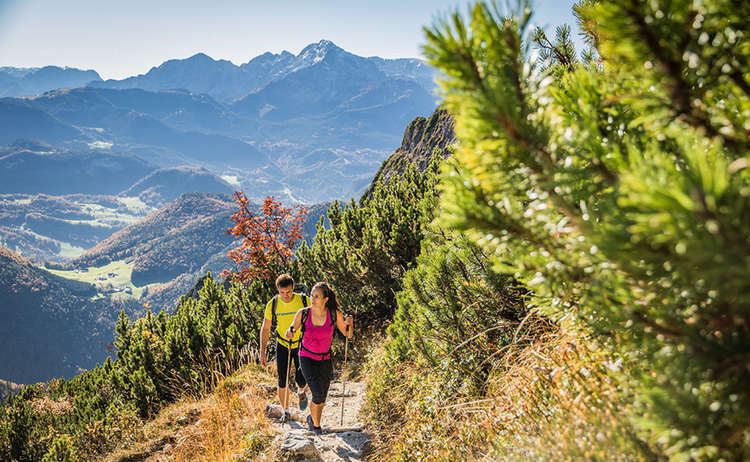 Depending on your physical condition and mood, the possibilities are endless in choosing the perfect hike. Be it a half-day or full-day walk to a lovely mountain meadow or a challenging hike across rocky ridges with spectacular views, this diverse terrain will certainly make a lasting impression! 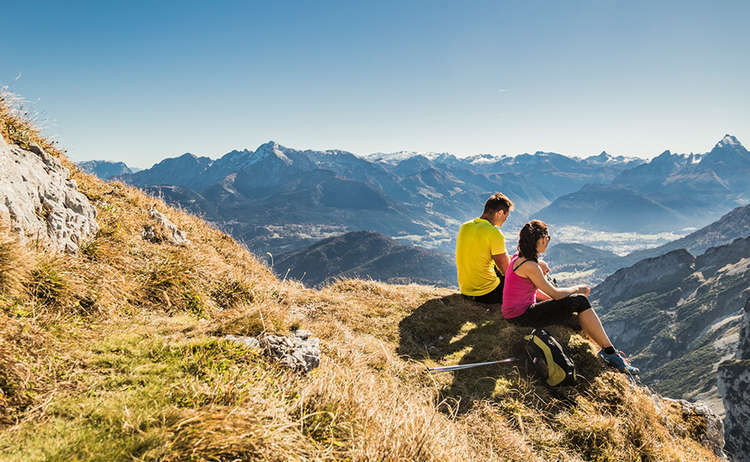 Depending on your physical condition and mood, the possibilities are endless in choosing the perfect hike. Be it a half-day or full-day walk to a lovely mountain meadow or a challenging hike across rocky ridges with spectacular views, this diverse terrain will certainly make a lasting impression! 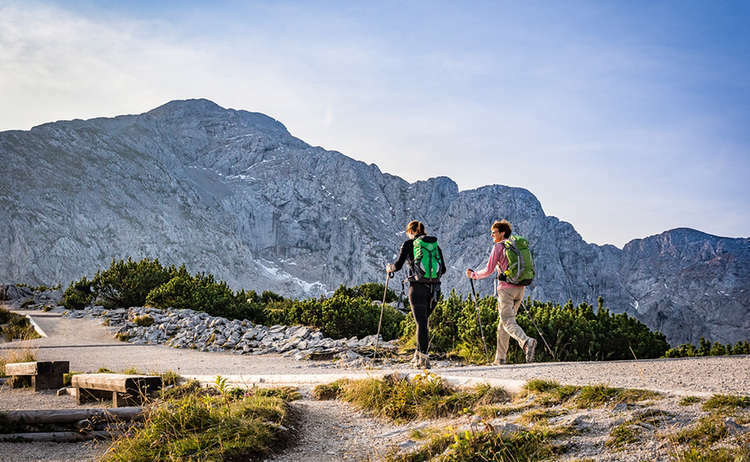 Information about hiking, as well as a hiking map with hike descriptions in German, are available from the individual tourist information centers of the Berchtesgaden area. Hiking guide books (with descriptions in German) including a hiking map are available from all the local tourist offices. Almbach Gorge (Almbachklamm): Difficulty: Easy to steep, duration 1 - 3 hrs, depending on option. Accessible only in summer. Difference in elevation about 200m (650ft). Hike to a mountain pasture: Description: About 6,3 km distance, 440 vertical meters, 3 hrs of walking.